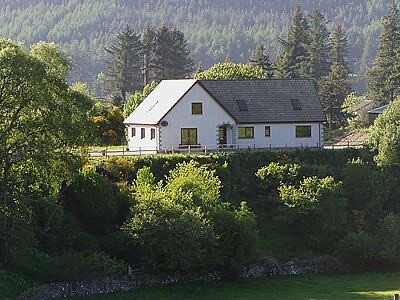 Excellent base for touring the Western Highlands and the Isle of Skye. 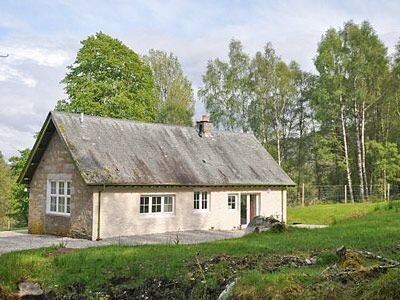 Centrally located in the beautiful village of Fort Augustus, this cosy, semi-detached holiday cottage with open fire enjoys an enviable position just a few yards from the Caledonian Canal with views down to Loch Ness at the end of the road. 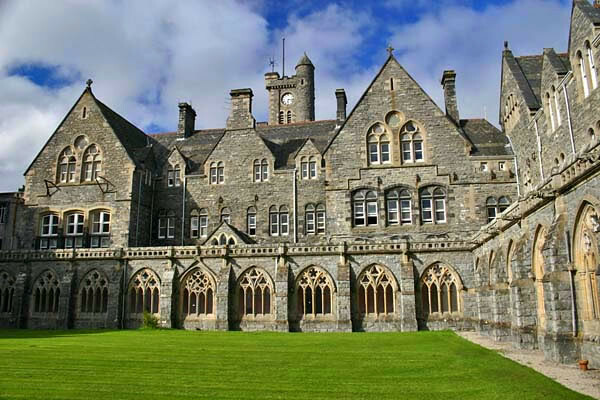 The area hosts a large number of outdoor activities including hill walking, mountain biking, fishing, canoeing, windsurfing and sailing. 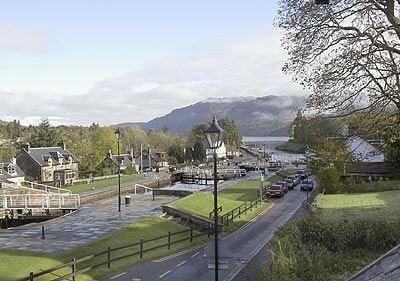 There are many distilleries, stunning castles and beautiful gardens to visit and boat trips on Loch Ness to see Urquhart Castle or hunt for the Loch Ness monster can be arranged locally. Shop and pub 50 yards. Ground floor: Living/dining room. Kitchen. Bathroom with shower over bath and toilet. First floor: 2 bedrooms: 1 double (5ft), 1 twin, both with sloping ceilings. Shower room with toilet. Open fire in living room (initial fuel inc). NSH, elec, bed linen and towels inc. Video and small library. Stereo/CD. Elec cooker. M/wave. W/machine. T/dryer. Small enclosed garden and furniture. No smoking. 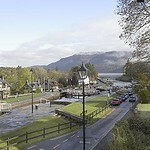 1st comment: Ideal location to explore the highlands of Scotland. Lovely village with good restaurants and butchers. It was fun watching large boats go past the cottage window. The cottage was warm and cosy. Amazing scenery, some good walks close by. Wonderful. April 2012. 2nd comment: The property was in a perfect location for us right outside the lock gates so you could see all the boats going through, really interesting. Pubs/Restaurants all were withing walking distance all serving very good food with a friendly service. There were some excellent walks in the area which was perfect for us & our dog. All round it was an excellent property & location we will definately be back. My one comment would be for the advert for the property it doesn’t mention parking which could put people off. There is no parking adjoining the property but there is a layby opposite the cottage which you can park in for the duarion of the holiday & no other cars parked there but us for the whole week. Oct 2011. 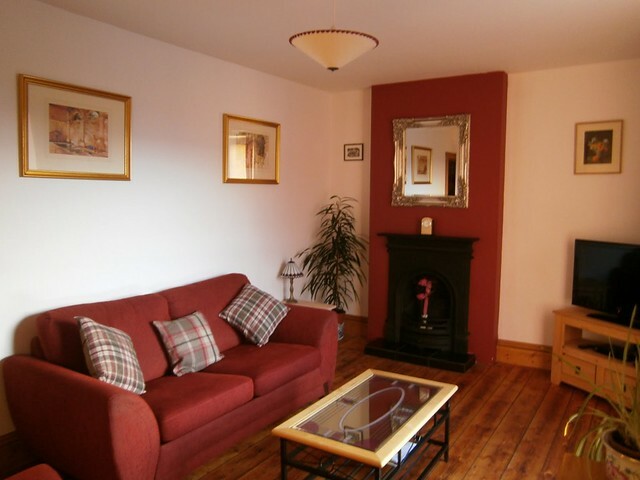 3rd comment: The cottage was beautifully clean and warm when we arrived. 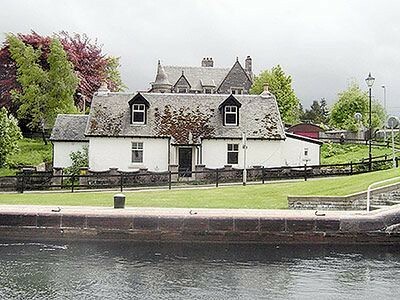 Its position right on the Caledonian Canal is superb, giving excellent views of boats passing through the locks. Oct 2011. 4th comment: Excellent location. Comfortable property. Friendly owners. Aug 2010. 6th comment: The property was in a perfect position with beautiful views and easy access to local amenities. The two bedrooms were large and very comfortable. Sept 2009. 7th comment: Lovely and clean, the view and situation of gthe cottage was fab and the village the cottage is in was the best for miles. Jan 2009. 8th comment: Superb location. Homely. Delightful cottage. July 2009. 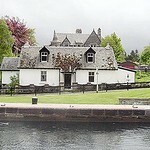 9th comment: Brilliant views of the boats going through the locks from the windows both in the lounge and the bedrooms. 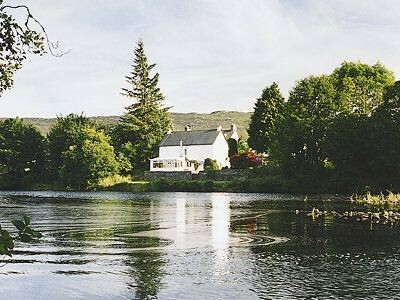 Plenty of walks around Fort Augustus, got an excellent map from the tourist office, the locals would stop to chat when we sat out front having a cuppa, all in all a very happy time spent at this cottage. July 2008. 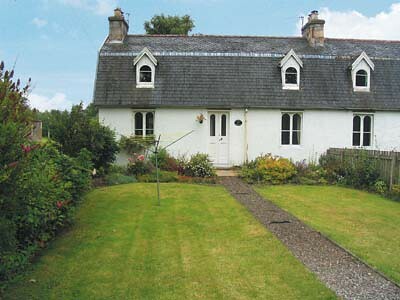 10th comment: This is an absolutely lovely cottage in a gorgeous location. June 2007. 11th Comment Stunning location with excellent local amenities Aug 2006. 12th Comment The cleanest and most friendly welcome I have ever received. April 2006. 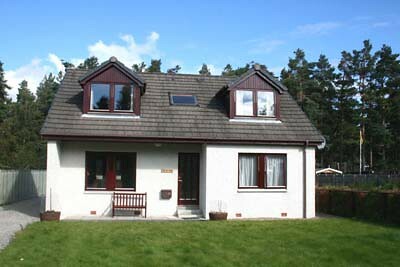 13th Comment The property is well situated, adjacent to the Lochs and there are very good eating places close by. Have stayed in many cottages thoughout the UK but none could compare with this for decor and cleannes. June 2006. 14th Comment This was our first trip to Scotland and it was just great. 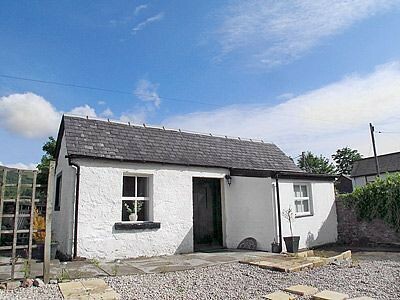 The cottage was charming and ideally located. It definitely met our expectations! Dec 2006. 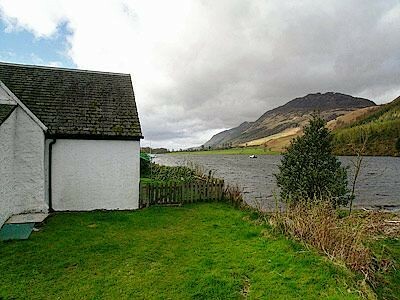 15th Comment Stunning scenery within walking and driving distances, view from cottage sitting room and bedroom windows of the Loch wonderful! June 2006.